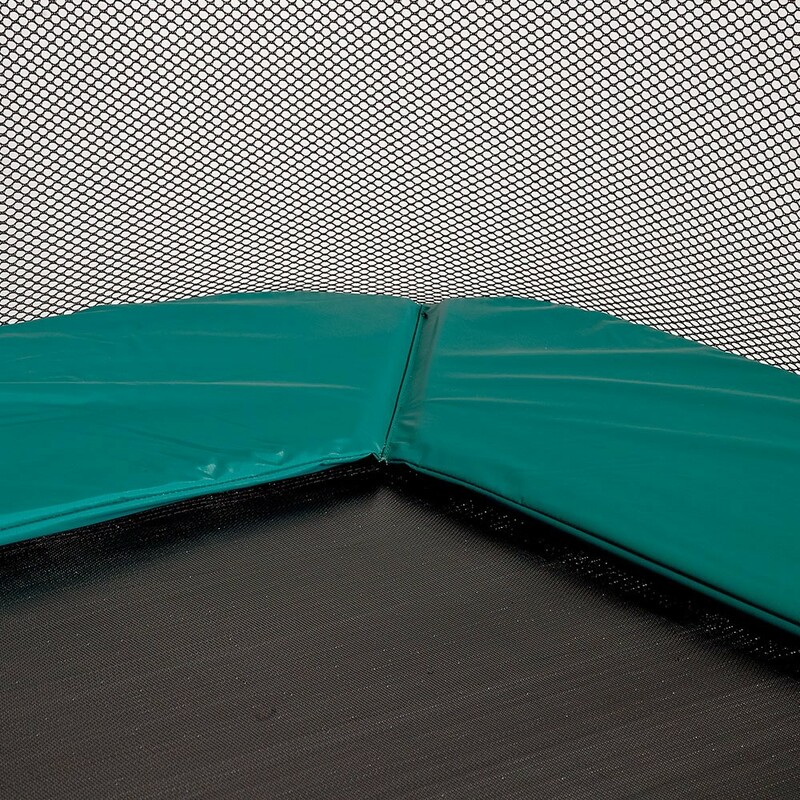 A frame pad is an essential component for your trampoline, as it ensures that your springs and framework are protected. This can be a fragile area, which is why you must check that your frame pad is in a good state of repair. 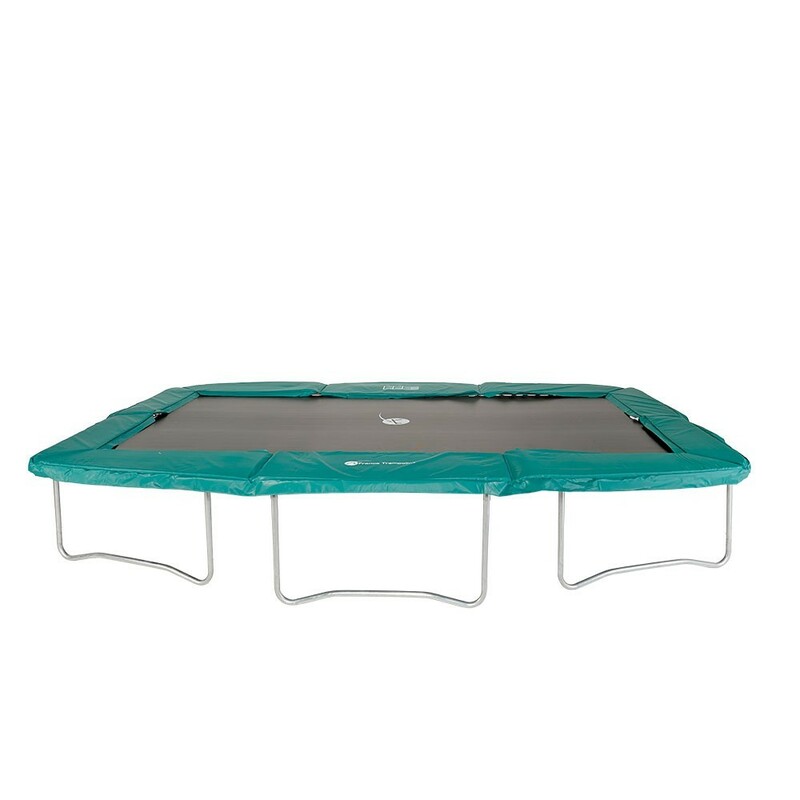 The pad is very regularly in use, therefore you must choose quality spare parts to keep your rectangular trampoline safe. This frame pad is for rectangular trampolines measuring 4,24 m x 3,62 m/3,06 m to the ends. 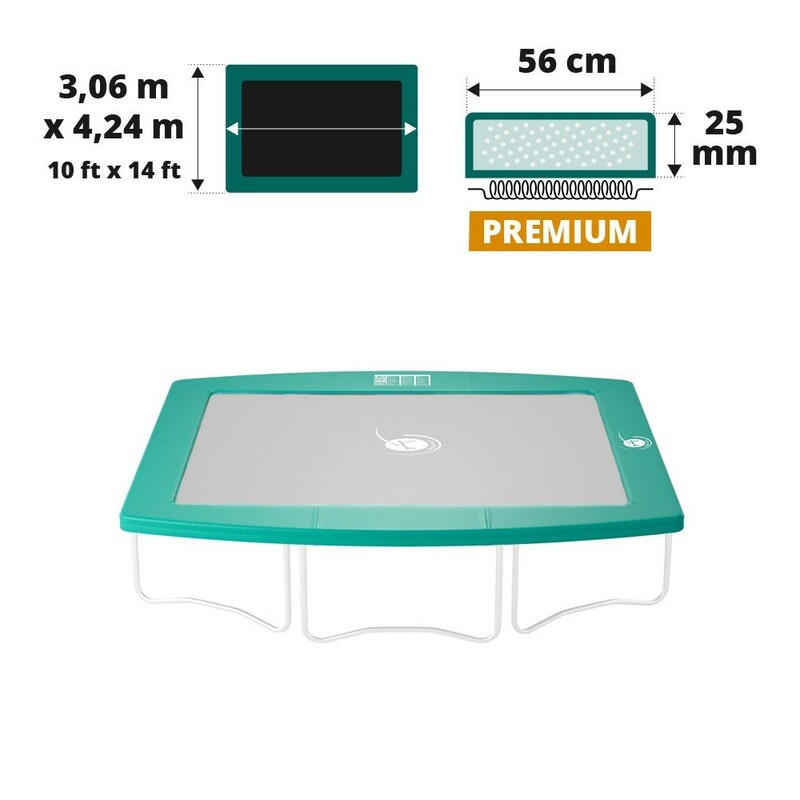 - This Premuim frame pad is adapted to the Apollo Sport 400 trampoline and any other models with the same dimensions. 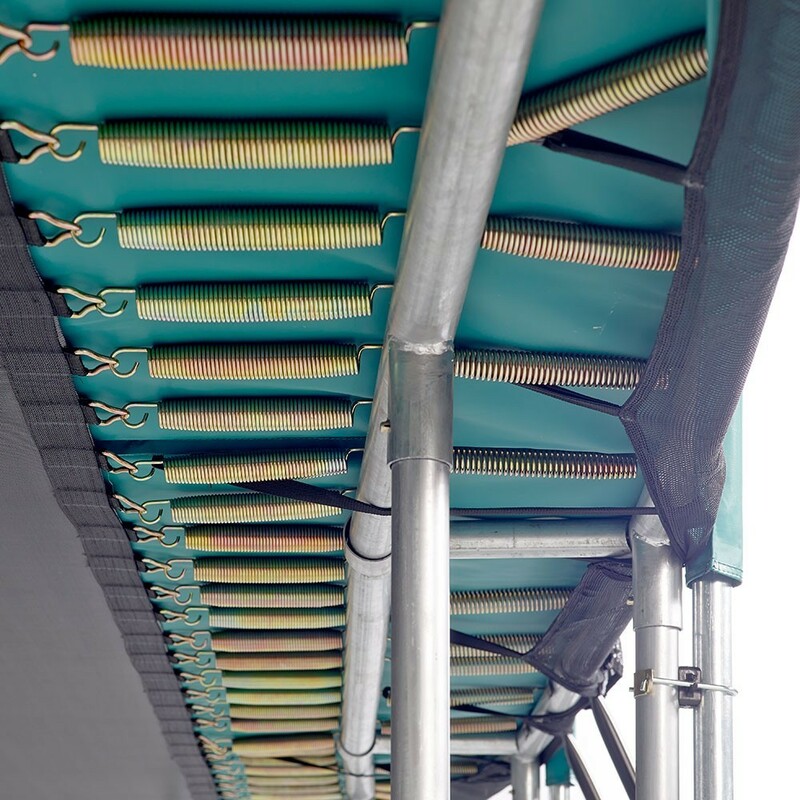 The steel framework has an extra row of springs on its longer side, therefore the frame pad is wider. This frame pad is 56 cm wide on the longer side and 33 cm wide on the shorter side. - This Premuim pad is designed using excellent materials such as EPE foam (expanded polyethylene), which excludes any mould problems and protects the springs from rusting. As well as producing excellent cushioning due to its 25 mm thickness and advanced flexibility, this foam is also waterproof. - Contrary to most frame pads on the market, ours are made from monobloc foam, so there is a single layer of foam. Is is less likely to disintegrate upon repeated impact. - The green coloured coating on this frame pad is made from thick, UV protected PVC, which protects the foam inside. 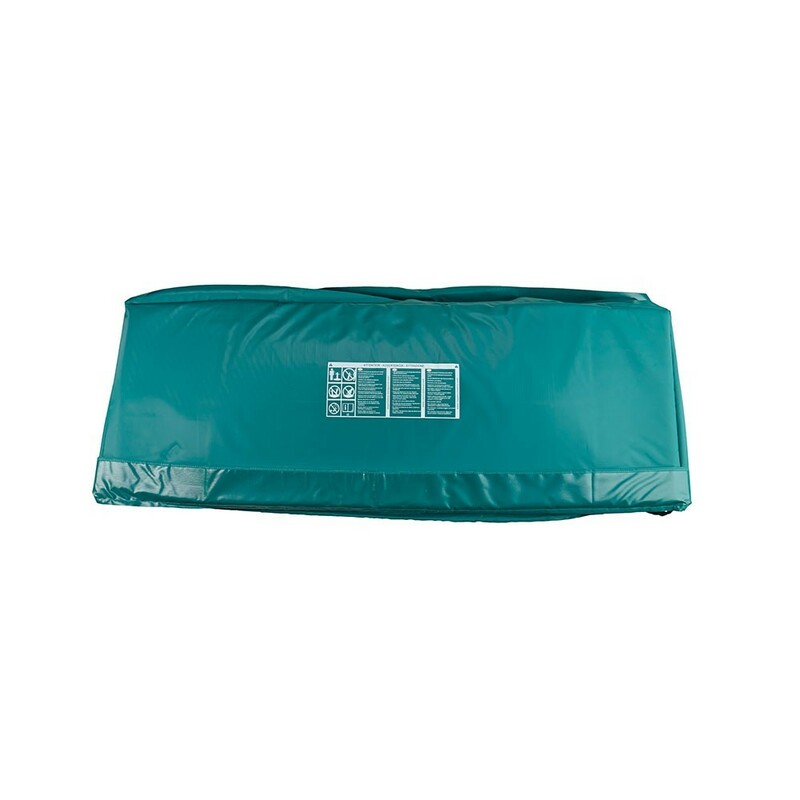 This cover will make sure that your frame pad is more durable. 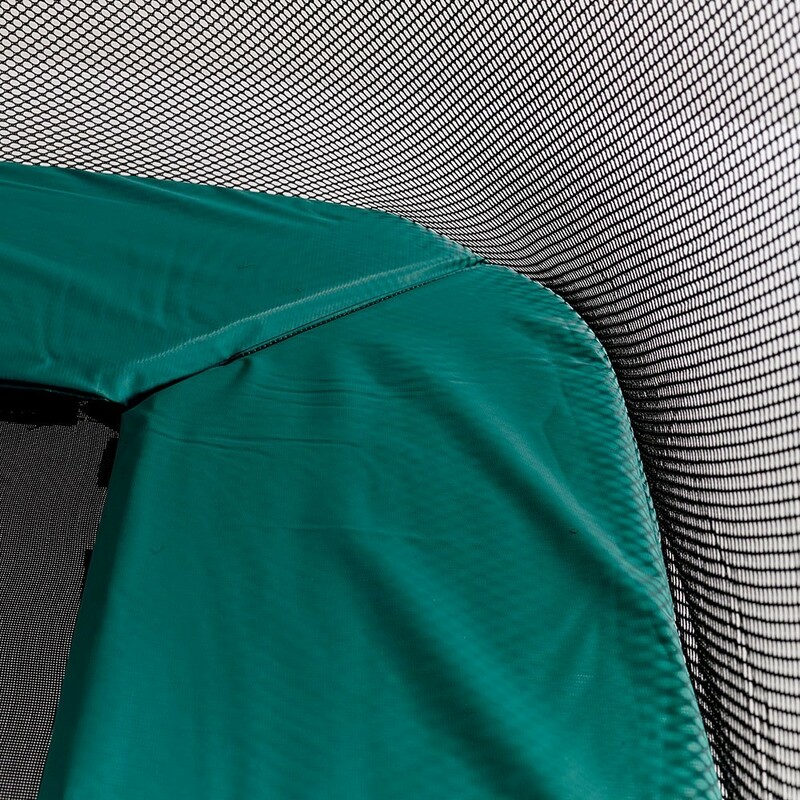 - This frame pad for rectangular trampolines is fixed to the framework using elastic straps, which hold it close to the springs without touching them, protecting it from friction. This slight gap between the springs and the frame pad contributes to making sure you can use your recreational trampoline durably.